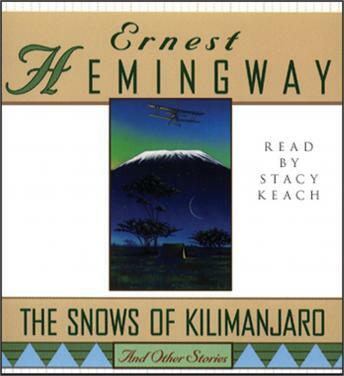 The ideal introduction to the genius of Ernest Hemingway, The Snows of Kilimanjaro and Other Stories contains ten of Hemingway's most acclaimed and popular works of short fiction. Selected from Winner Take Nothing, Men Without Women, and The Fifth Column and the First Forty-Nine Stories, this collection includes “The Killers,” the first of Hemingway's mature stories to be accepted by an American periodical; the autobiographical “Fathers and Sons,” which alludes, for the first time in Hemingway's career, to his father's suicide; “The Short Happy Life of Francis Macomber,” a “brilliant fusion of personal observation, hearsay and invention,” wrote Hemingway's biographer, Carlos Baker; and the title story itself, of which Hemingway said: “I put all the true stuff in,” with enough material, he boasted, to fill four novels. Beautiful in their simplicity, startling in their originality, and unsurpassed in their craftsmanship, the stories in this volume highlight one of America's master storytellers at the top of his form.